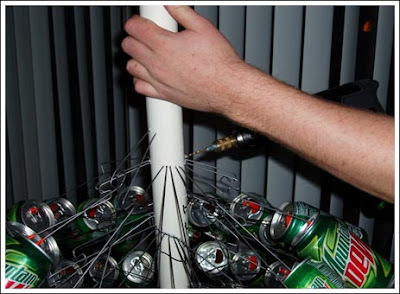 Chris drinks Mountain Dew like there's no tomorrow. So I say, why not make something of his nasty habit? I know these pictures have been cruising through cyberspace at lightening speed, but I want to blog it so I won't forget about it. 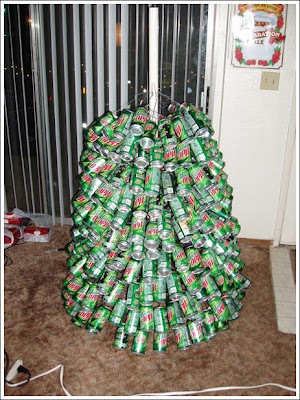 We're going to start collecting cans so hopefully next Christmas we can make our own Mountain Dew tree. LOVE that tree. but hate mountain dew. yuck! 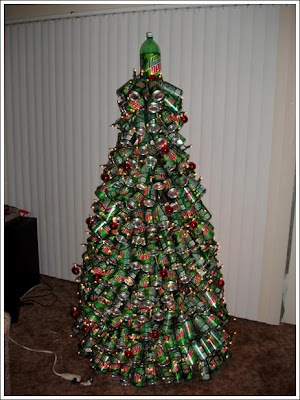 but i totally think chris should make that tree. 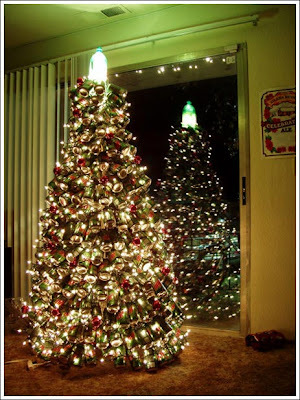 i especially love the big lighted bottle at the top! hope you guys had a great thanksgiving! 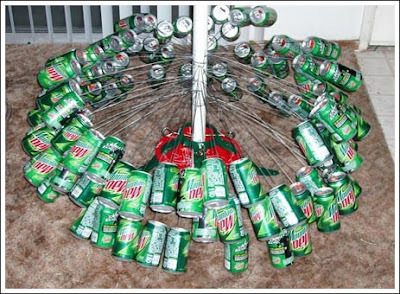 I can't wait to drink all that mountain dew!!! That is awesome! 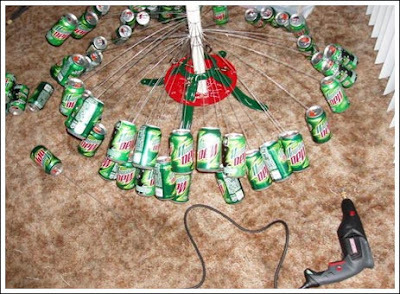 It makes me feel better about my mountain dew consumption – knowing there are people out there more addicted than me.